Schengen visa – is a document, issued by a competent authority to non-citizens of Schengen area nationals and allows its holder to enter or leave Schengen area. 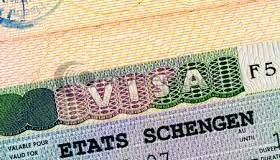 Schengen visa is pasted in a passport of its owner and is checked upon entrance of Schengen area. There are different types of Schengen visas. They might be single-entry, dual-entry and multiple-entry visas.